Hey everyone! In today’s episode, I share the mic with Kirk Simpson, CEO and Co-Founder of Wave, a service that offers free invoice, accounting, credit card processing, and payroll software. 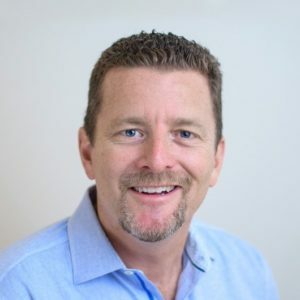 Tune in to hear how Wave plans to eliminate friction for small businesses, how the business saw a 26% conversion rate on their landing pages early on, and what Kirk uses to maintain peace throughout his extremely busy day. [00:47] Before we jump into today’s interview, please rate, review, and subscribe to the Growth Everywhere Podcast! [02:00] Kirk sought to make it easier for business owners to do the things that get in the way of just doing what they love. [04:07] It wasn’t until his wife was pregnant and he was in his late thirties, that Kirk finally saw some measurable success. [06:03] Wave was heavily influenced by Mint. [06:20] Mint made it easier for the masses to gain insight into their own finances. [06:45] Kirk and his team thought that small businesses needed a service similar to Mint. [08:35] The amount of scale to turn Wave into a viable business seemed large and daunting. [12:11] Wave wants to make invoicing “invisible” over time. They want to create a frictionless service for small business owners. [12:33] More and more, they will layer on other products to bring you closer to that goal. [14:20] On a monthly basis, they have hundreds of thousands of active users on the Wave platform. [15:15] In April 2011, the Wave team saw the development of the Google Chrome Marketplace. [15:40] One team member found a way to integrate with the GCM. [16:02] Wave saw an immediate increase in customers. [16:26] Kirk believes most of his success is due to luck. [17:55] When a business gets their first customer, they have an immediate need for invoicing. [18:35] Wave had a 26% conversion rate with one of their landing pages early on. [18:51] Kirk says his team played the long game with SEO. [21:21] Kirk uses the Headspace app to give him some peace during the day. [21:55] Kirk recommends the books Lead by Greatness and Grit. [23:57] One of the benefits of being an older entrepreneur is having a wide network. [24:22] His wide network enabled Kirk to find the best career coach/mentor.